Parachute hammock is no doubt the most popular type of hammock sold in the market today. This type of hammock is particularly well-liked amongst the community of campers, outdoor enthusiasts, and nature lovers alike. They are definitely here to stay. Virtually all manufacturers of hammock producing it. In particular, this type of hammock is very popular for camping. Lightweight, durable, and affordable, these are the main qualities that these camping hammocks have in offer—and people totally dig them. Parachute hammocks can be more accurately described as parachute nylon hammock. The materials of this hammock use parachute nylon, which is not exactly the same materials used in the making of parachutes. These parachute nylons made for hammocks are slightly heavier and sturdier compared to the regular parachutes. That being said, the weight of a single or even a double hammock is generally still going to be lighter compared to a minimum set up of a tent. They do the great value for money! Compared to hammocks made of polyester, for example, nylon parachute hammocks are cheaper. This is also one of the significant supporting factors why the parachute nylon as hammocks are extremely popular. These days, they are not simply in demand for those who are into camping and trekking. Aside from outdoor and nature lovers, this parachute hammock is started to gradually increase in demand by households as well. Hammocks have long been a popular part of the backyard. They make a great outdoor daybed to hang around. The conventional ropes and spreader bars have never been an ideal replacement for beds because they compromise comfort and balance. However, any well-designed camping hammock can easily remedy this. The fact that these hammocks made of parachute nylon very lightweight make it a popular choice for backpackers and campers alike. Weight is an important consideration. With the decrease in weight, there is a huge potential decrease in expense as well. Especially when these hammock campers are going to camp abroad. Although this type of parachute nylon hammocks is lightweight, the materials are definitely not easy to tear. The parachute nylon hammock is one of the most durable types that are mass-produced today in the market. A lot of manufacturers listed the capacity for a single hammock as 180 kg or approximately 400 lb. The nylon materials of these hammocks made them not just durable, but also very quick to dry. Most of the nylon parachute materials manufactured in the market are water-resistant. 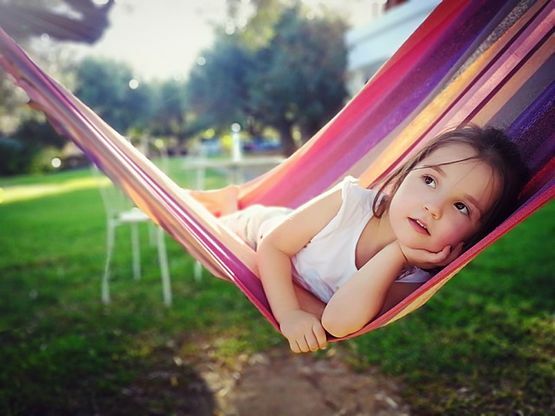 This also makes these parachute nylon hammocks perfect for outdoor activities, where nature’s elements such as rain, wind, and humidity would not easily seep through. Water resistant materials are ideal compared to waterproof materials, as the elements, especially water and dew, would not pool inside the hammock. There are some people who are thinking that traveling by getting the travel package is considerably expensive. But I am sure that can’t be the absolute true since there are actually various travel offers. There may also people who don’t get the travel package since most of the time – traveling will no longer by your own with the guide, but there will be the other people in the same package with you that may cause you feeling uncomfortable. But again, not all of the packages will be so. Even, you may want to think about getting the travel package for your next traveling schedule since it has some interesting benefits that you will need. So that, below I will reveal some of advantages that can be the reasons why you will need to buy the travel or tour package someday. Traveling to somewhere needs to be planned, especially when the destination will be faraway. You will have to think about where to stay, to eat, where to go and what to do that can really relate to the accommodation and all the travel itineraries. So do the services. If you are about to get the travel package, you can take advantage of not thinking all about those. You will only need to take yourself and all the luggage with you without need to planning the other things. The package provider will done that for you. Even if you will pay for the second time, I think you will only spending it as the tip for all the services you’ve got. Paying for the travel package will probably be more affordable since many of the providers are doing so. Later, don’t you think that you won’t only experience the travel but also saving more than you couldn’t if you don’t get the trip package? A guide is really important to digging more information about the destinations. The guide will also help you to make your traveling more safer since they are knowing which and where the dangerous spots that you needn’t to visit. I do believing that every available travel packages are included with at least a guide to accompany you during your trip. You can be confused any longer about which places you need to visit and things to do. Even, you may have been provided with some interested activities for certain times when you are at the accommodation and not decided to go out there with the others. 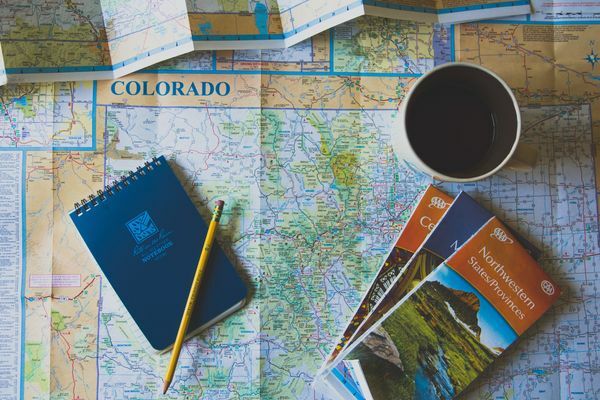 You will only need to prepare yourself for all of the itineraries and don’t need to research more about them since there will be a guide that will informing you about anything in the area. Your traveling can be more effective since each hours have their own activities at the certain places. So, if you are getting the travel package, you can really use the times effectively so all the sacrifice for your trip can really be paid off. A team that have been created the travel package must have been considered everything as well to make sure that you are experiencing things as what you have imagined before. Or even more than what you have been expected. When you can use the times effectively in your travel, visiting many places with safe and getting more information from your guide, don’t you think that all of that will be contributing in giving you the best travel experiences ever? Bali always welcomes all tourists from various countries. Hospitality, customs, traditions, culinary, scenery and various features of the Island of the Gods offer its own charm. Whatever you dream of is in Bali. Want to enjoy a quiet holiday you can do Ubud with an estimated distance of 30 km or a 1-hour 15-minute journey. Bali is also very well known for its pleasures. Rows of bars and clubs are ready to welcome and accompany you throughout the night. Bali sports bars are a trend for expats especially when the season comes. It’s not difficult to enjoy the season even when you are on holiday in Bali. Adrenalin sports bar Seminyak offers togetherness the pleasure of watching matches mingling with expats and other tourists. Adrenalin sports bar Seminyak offers more than just watching matches. The strains of live music and loud music that is heard when it starts to take the night take visitors on a perfect vacation. The best food offerings will accompany you throughout watching the match. A bottle of cold Bintang can refresh and cheer up your night. One of the bars, the restaurant that is currently in trend is the Sea Vu Play. Serving fresh seafood with the best flavors provides its own experience enjoying while enjoying the match with a super large screen. The hustle and bustle and crowds of visitors become a magnet for other tourists to stop by. Sea Vu Play is not only worthy of being called the adrenaline sports bar of Seminyak. Years of proof have answered that the Sea Vu Play is perfect for all-day pleasure. By nightfall, there are many programs for gays to sway and enjoy the night’s fun. Enjoying your favorite matches in a closed room may be commonplace. Sea Vu Play offers outdoor spots to pamper sports lovers. Immediately when the competition season, they will prepare a super wide projector screen so that you are satisfied to enjoy the match. It’s a good idea to stop by one of adrenalin sports bar Seminyak to enjoy a variety of fun during the holidays. No need to miss your favorite team when in Bali. Choosing one of the right adrenaline sports bars Seminyak makes your holiday extraordinary. A great adrenalin sports bar Seminyak is not just for a game but gives more privileges and satisfaction when visiting. 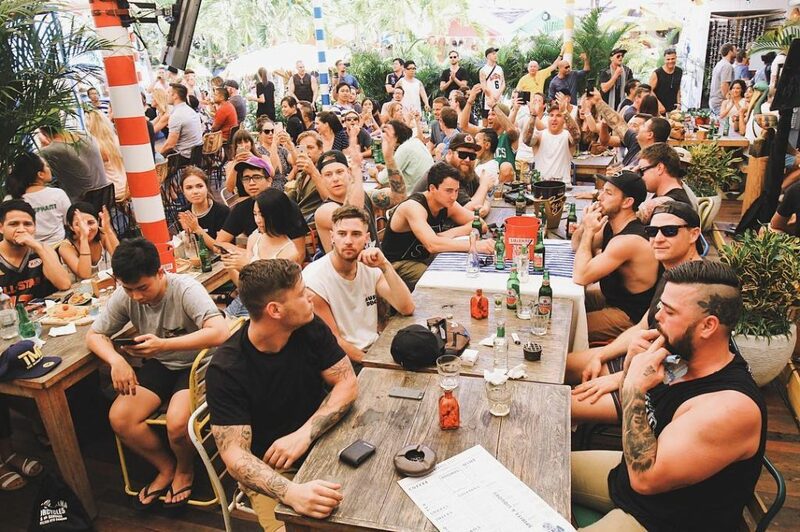 Prepare yourself to take around and Prepare yourself to stop by and enjoy the best row of bars along Seminyak. Ubud is one of the most popular places in Bali that has drawn visitors every year. This particular area of Bali is popular mostly due to its gorgeous nature and unmistakably stunning view of it. Most visitors spend their time in Ubud for sightseeing and relaxing. However, you can also go sightseeing in Ubud while enjoying your meals during lunch or dinner time. Ubud has beautiful jungle, valley, as well as paddy fields which can help purify your sight. Amongst them are nestled some restaurants and cafes to provide you both delicious foods and stunning view. It will be such a shame if you don’t visit one of them during your vacation in Bali. Bali is also famous for its authentic cuisines made from fresh local produce. You can enjoy various types of food in one of restaurant in Bali. 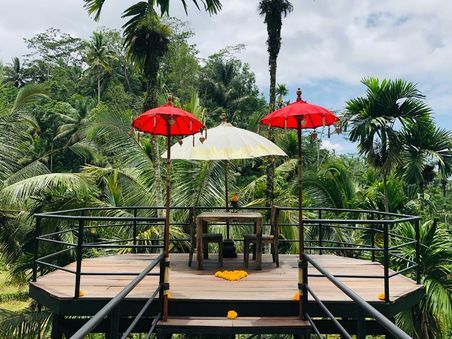 However, you can get more if you visit these one of recommended restaurants nestled in jungle, paddy fields, and valley in Ubud. You will get to see the best view of the nature while enjoying delicious foods with your beloved ones. The first place for that is the Boni Restaurant that offers you soothing view of rice terraces. 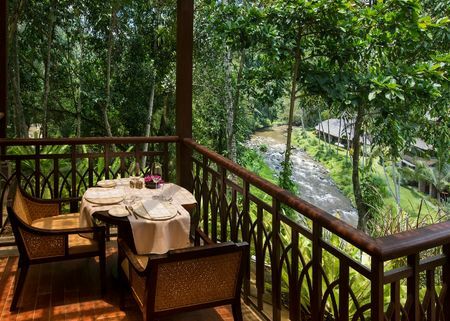 This restaurant is nestled in the best spot where you can take a seat and overlook the rice terrace. This is where you can feel the rustic vibe of Bali. Enjoying authentic cuisines of Bali while overlooking the best of the nature will only increase your appetite. Next is the Green Kubu Café where you can indulge your stomach with traditional dishes of Bali. This café is situated in the middle of rice fields. Instead of usual dining table and chairs, you will enjoy your meals from comfy bean bags completed with flamboyant Balinese umbrellas to protect you from the sun. There are also some spot to take romantic, lovely pictures with your partner. To enjoy the view more, try the Kubu swing since it can fly quite high. The third place is Kubu and Sawah Terrace where you can enjoy delicious meal while looking at the flow of Ayung River. The soothing sound of flowing water makes your dinner more pleasant and peaceful. Aside from the river, you will also get to see the view of the rice fields. You can enjoy your meal inside Kubu, Mandapa’s signature bamboo restaurant. Having romantic dinner with your beloved one inside the private cocoon will only make your romantic escapade more memorable. Last but not the least is the Pomegranate Café that is not only a place to eat in the midst of rice fields. It is where you can directly touch the rice plants with your own hand. It also offers 360 degree view of lush paddy field. You can come to this café for breakfast so you can witness the majestic view of Mount Agung. Here you can enjoy various food such as pizzas, various desserts, as well as traditional Balinese dishes. This place is perfect to enjoy the best of Ubud Bali along with your beloved ones, be it friends, families, or lovers. The more people who are travelling in Bali while knowing each other, the more bedrooms needed if they will have to stay in an accommodation. There is one of the recommended stay in Bali that can be used for that such as the 3 bedroom villa located at the trendy Seminyak. For the past recent years, Seminyak area has been developing so good to serve the tourists that are decided to visit and stay in the location. By years, travellers who have been staying in this area has been improving as well since it has became the trendy and popular spot for many travellers. One proof of the occurring development is that the number of accommodations is increasing every year to serve the tourists. Today, Seminyak is no longer the deserted village as what is was more than 10 years ago especially on early 2000’s. Every tourists that are planning to visit Bali and decided to stay at Seminyak can be a bit easier to find an accommodation since there are various of the stay that can be chosen, including the 3 bedroom villa Seminyak itself that can be great for some couples or family (group). There will be two things that the guests need when deciding to stay at the rental accommodation which are the premier hospitality of the staffs and the great services they are offering. 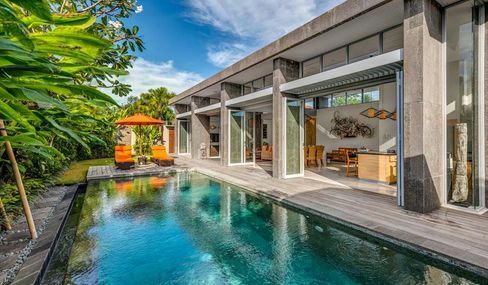 If you are also considering those two things as important in your stay, then you can get both of them from the 3 bedroom villa Seminyak that is provided by some well-known villa’s managements in Bali. But to be honest, not only some, but most of the available villas are actually offering them both and even more. Staying together in a group will requiring the accommodation you are renting to be able to do many things. Even, you may will need kitchen sets, the refrigerator since you are going to stay for couple of days or even weeks, the spacious living room, dining room, up to the available private pool for all the guests. If you are decided to reserve the hotel rooms, you have realised that you can’t get all of those things. No matter how good the hotel is ranked and reviewed. But, when you are making a choice to stay together inside the 3 bedroom villa at Seminyak, all of what I have been mentioned above and even there are more of the facilities have been provided before. For your information, when I was saying about the trendy Seminyak, I am actually referring it as the “hippest” location you should be when you are in Bali. Either you will only pay your visit to several destinations in there or you can also makes it as where you are going to stay because of its popularity. The 3 bedroom villa at the trendy Seminyak you are going to rent will also possible to be situated near or around the beach. It is because there are some of the interesting villas where you can get to the beach in just minutes by walking. See the below map showing that Seminyak area or village is located at the beach. Don’t you interested about this? 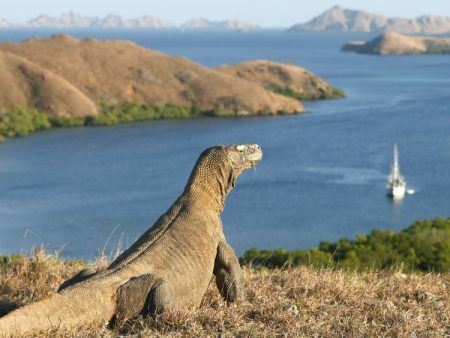 Visiting Komodo National Park can be new experience and a refresh for your getaway ritual. You can still have some perks of travelling in an exotic island. However, this place offers more. This is the only place where you can meet Komodo Dragons, the ancient, lethal creatures. If you are adrenaline junky and seek for adventure, this place is just perfect for you. Where else can you see deathly animals in close distance? You need to report your arrival to the komodo National Park office. Then, you will be able to explore the area when you have ranger to guide you. The rangers play important part of your journey in the island. They are the one to make sure the visitors, locals, and Komodo safety. You need to follow their suggestions throughout your trip. They usually bring safety stick with Y-shape to keep the distance with the Komodo. If they attack, the rangers use the stick to hold their necks and mouth. Don’t bring too much stuffs during your trip on the island such as plastic bags, backpack, camera bags, etc. If you drop it accidently, The Komodo may think it is food for them because the rangers feed them by throwing the foods to the ground. Make sure to be five meters away from the Komodo. If you have open wound on your body, or are in period/menstruating (for women), you need to tell your condition the rangers beforehand. If you are in one of those condition, you need to stick with the rangers throughout the trip. This is because Komodo Dragons can smell blood very well which attract them. When you are around Komodo, make sure to not move around because it can provoke them. If you want to take pictures, make sure to not too close either. Keep your distance at least 2-3 meters away. You also need to be quiet and always in group. It is more recommended to not use any perfume. Make sure to wear comfortable clothes during your trip. Thus, you will be easy to move here and there without restriction. Just in case of emergency, you need to be able to run freely without any obstacles coming from your own clothes. If the Komodo try to catch you, run in zigzag and go to higher places but don’t climb the trees since young Komodo like to roost on them. How To Plan Scuba Diving Vacations For Beginners? Not many people think that diving opportunities are when holidays arrive. Most people don’t think there is a minimum of dives in a year to increase certificate levels. Generally they try to dive just to have fun and enjoy the holidays. If you live in a place where diving is not available throughout the year, it’s time to find the right location for diving. Deciding where to go for scuba diving vacations for beginners is hard. Many planning preparations for scuba diving vacations for beginners. Lodging, transportation, and including finding the best dive operators is an important part. The right planning ensures your holiday is very pleasant and memorable. Search for tourist destinations where you can enjoy other pleasures, ranging from the natural scenery, sunset, sunrise, to the underwater scenery itself. Diving doesn’t have to stay in a dive resort. This allows you to pay more than usual accommodations. But making things easier. 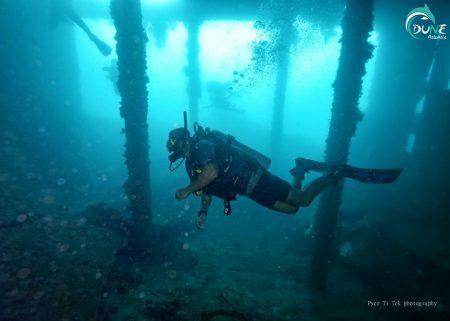 Many dive sites that offer not only offer you to enjoy the others. If you are a professional, dive resorts are the best. They offer morning, evening and even night dives. Since you are planning a scuba diving vacations for beginners, then let the local dive operators make the best planning for your first dive. Thinking about a dive board might be very fun. Especially for beginners, live aboard diving might make them curious. But there is a need to remember and rule out the planning of a live board dive. The best Scuba diving vacations for beginners are to start with the theory then train in the pool and proceed to the high seas. Meanwhile, dive live aboard should be for professional divers so as not to waste diving time. It will be very satisfying to do as many dives as you can, whether morning, evening or night. When live aboard is usually used to catch fish, live aboard dives are now more luxuriously designed for the convenience of divers. Think back if you want to have fun and want to take a vacation live aboard dive. Don’t waste time and budget on something that beginners can’t do. Plan your scuba diving vacations for beginners correctly so that your vacation does not become a nightmare. Look for dive operators who are able to serve and provide the best facilities for beginner divers. Hiking a mountain can be an alternative destination you can choose when you are in holiday. The only thing you have to make sure is that how long does your holiday is since many of the mountains are taking times (days) until you can reaches the top. Sometimes, hiking can also takes no longer than a day, but surely that will be not how you want to spend your holiday, isn’t it? If you can be at the mountain for some days, at least 2 days, you can then really enjoy your time up there. But if only you could be there for hours, that won’t be any problem at all but you should realized that you may not experience much things and see many things on the top. 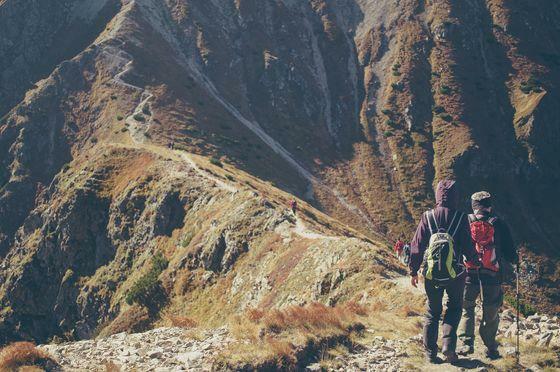 As there are many reasons why you should get a holiday, hiking a mountain is also has some reasons that should be concerned. Is is a sport, it can be done by whoever you are, and it is actually has been one of the option where you want to spend your holiday since the first place like any other destinations. The different thing is that, it needs your energy and times more than before. Depending on how high the mountain is and how difficult the terrains of hiking are, but mostly you will spend at least a day to be on the peak and to get down the mountain. Yet, it’s still one place you can ever be which brings different experiences and beautiful views you’ve never seen before. You will never know the journey you are going to get when hiking a mountain. But if that will be the first time for you, it is possible that you will see things differently. The forests you are going to passing through in a hike are no more than just the trees and all the living creatures inside. But, things will change differently when you are start hiking the mountain. You will really thankful for seeing the green forests over the land and it is something really special to experience no matter how tiring you are. Your respect for the environment will be bigger than before since you will realized that is is something important that also needs to be experienced by the future generations. Rather than just considering it as one of the trip and sport you are getting through in your life, for some reasons, being at outdoor like this has its own spiritual side for ourself. It is not only about the spiritual paths or trees or spots that may have been sacred by the local people living around the mountain. But hiking can also be the thing you can do to find yourself, to restore your inner balance or experience the pure peace at nature. Have you been thinking before to stay away from the social medias, networking, mobile phones or internet things? Hiking a mountain can be the 100 % way to getaway from all of those since all the networks are probably forbidden up there. Hiking truly is the welcome break to the stress release and doing things differently as your everyday routine to get closer to nature and forget all the things at home and work. It is really the best thing you can do without being trapped to another stress in life and relief yourself to many things that can’t be considered as the burden for your shoulders. There are more benefits you can get by hiking a mountain but the top 3 reasons above are rarely being told to us so I try to written them down. If you are agree with me, hope this post will deserves a share as well. What Is Hammock Camping and Why You Should Care? Have you been experienced the hammock camping before or do you know the reasons why you should know about it for your life? There’s not a single compulsion at all that you must be experienced in camping with a hammock or to know about it to say the least. It won’t be a sin you are actually don’t know about it. But when it comes to something that can make your life be more better than before, then have a sit and read along of what I am going to inform you in the next few moments. As we all might known that hammock for camping is now has becoming the popular camping activity where mostly you will experiencing it at outdoors, nevertheless you can also getting it done inside your own bedroom. Camping may not the favorable activity for many of us, but when it coexists with the use of the hammock, what you didn’t like before can be changed. Many of us now, realized or not, are in love with hammock camping especially as one of the best thing you can do to spend your quality time. 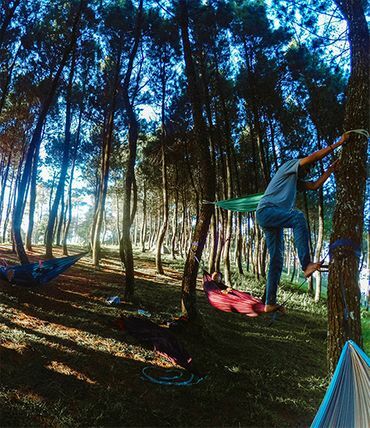 Spending time while doing nothing is no longer the boring activity you can experience when using a hammock. Using a hammock can really equivalent to a trip itself when you are starting to sleep on it or simply read the book you just bought moment ago. It can be your personal retreat for relaxation where you can make use of it anytime you’ve got. That’s what the hammock camping is to me and to many of the others as well that I have been seen before. Camping shouldn’t be always at outdoors, right? What can stop you from making your own camp inside your home? Nothing! You are free to setup your own camp at anywhere and use any type of tools and gears you’ve got. Many people are believing that a holiday is a chance to chill out, to relax. While that can’t be wrong for most of the times in our life, holiday itself can be spent anywhere with any activities, including to spend the whole holiday at home while resting your body and mind by using a hammock at your own backyard if that will be available. If sleeping on the couch can even brings you the relaxation moment on the weekend, then a hammock itself can do more than that. Yes. I am saying that sleeping or resting and whatever you are going to do on the hammock can contributes to make your body and mind being relaxed every single day in your life if you are using it everyday. It only takes a small space of the room at your home and the stands to set it up since it is an item whose use is hung. Just for your information, being relaxed with the hammock camping will positively affect your physical and mental or mind. So, you’ll get advantages for both side of yourself. Swinging gently while start laying your head down on the hammock can make you fall asleep faster than sleep on the regular position as usual. That will really great if you are experiencing it in an outdoor camping where resting can be troublesome for some times. You won’t also hard to find the spot for your shelter since you can creates it anywhere possible. Through the faster way to fall asleep, the sleep positions that are also available when using a hammock will contribute to heal the back pain as many have been experienced it. It is truly perfect to spend the time while relaxing your body and to get the deeper sleep that is also has many advantages for your soul. Chance to get the peaceful state of resting is higher than before and that should be good for everyone. Since hammock have been proven to be easy to use anywhere, don’t you think that now you have chance to relax yourself everyday at anywhere as well? Getting it once can be really one of the best investment in your life knowing that you can uses it everyday and no longer need to spend any other money at somewhere else. Or at least you can save more of your budget for now. Those are why having and using the hammock can be a necessity for some, including you. 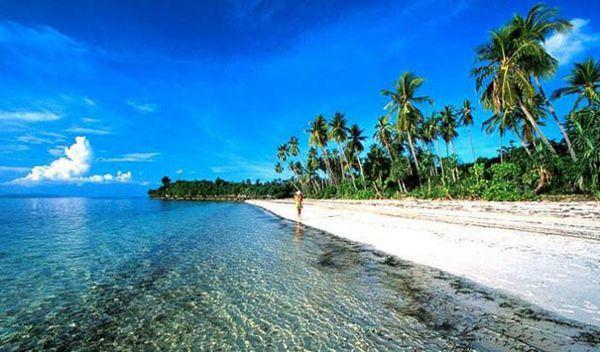 Tourism in Indonesia: The beaches are brilliant! Currently, tourism in Indonesia is managed by the Minister of Culture and Tourism. 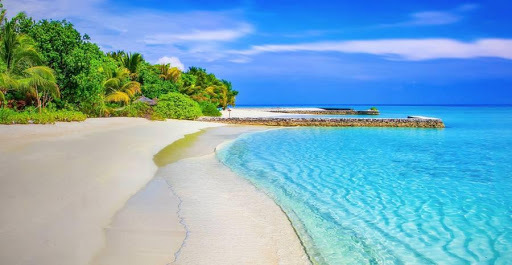 International tourist campaigns have been largely focused on the tropical destination aspect, with the white sand beaches and the blue sky imagination as its image. The resorts and hotels were developed in some Indonesian islands, with the islands of Bali, as the main destination. Cultural tourism is also an important part of the country’s tourism industry. The temples of Toraja, Prambanan and Borobudur, Yogyakarta and Minangkabau are known destinations for cultural tourism. Since Indonesia is well known for the proper beaches, here below you will find beaches in Indonesia that are worth visiting all year long! This beach is located in the beautiful region of Derawan Island and has been designated as one of the most beautiful islands by UNESCO. Since this has been proven by the inclusion of this beach in the list of the 100 best beaches in the world by CNN. Imagine, this beach which has a very good accommodation is ranked 63rd out of 100 beaches in the world. It’s not wrong if you visit this beach and make it your favorite vacation spot. The extraordinary excitement in this place is that tourists can swim with a group of turtles in a clear and fresh sea. There are also rays that can be found on this beach. The Karimunjawa Islands, whose beaches are truly extraordinary, are among the vacation spots sought by many people, both at home and abroad. In Karimunjawa, visitors can sunbathe freely on the beautiful white sands, fish, visit fishing villages or enjoy a unique culinary tour of Karimunjawa around the beach. tThe Karimunjawa archipelago, located about 80 kilometers northwest of Jepara, is made up of 27 rocky islands in the Java Sea. Its population is about 8000 inhabitants. Administratively, the archipelago is part of the kabupaten of Jepara, in the Indonesian province of Central Java. In addition to Karimunjawa, which many people talk about, Raja Ampat is another place that includes appalling. The advantage of tourism Raja Ampat has a beauty so charming that it is difficult to express it with words. The sunsets at Raja Ampat are an attraction that is favored by domestic and foreign tourists. In addition, the underwater life is so spectacular that even the divers feel hooked to continue to come explore the nature of the sea at this place. 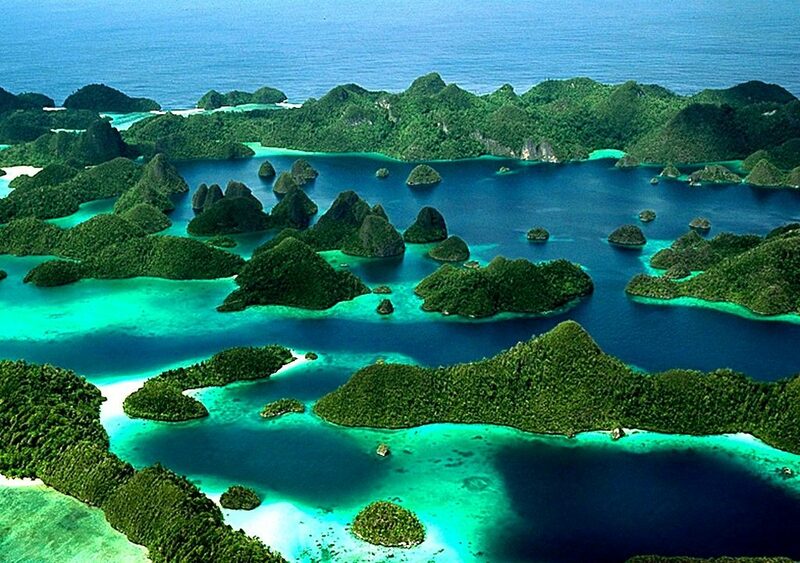 The Indonesian Raja Ampat Archipelago (“The Four Kings”) is located near the northwestern coast of New Guinea. It is made up of some 1,500 islands, often mountainous, the largest of which are Waigeo, Batanta, Salawati and Misool. The first three are in the Pacific Ocean, Misool being in the Seram Sea. Raja Ampat is a destination for scuba diving. The Raja Ampat Archipelago contains many dive sites like Melissa’s Garden, Manta Sandy, Black Rock, Chichen Reef.